I Write Like tells you which famous writer's style your words resemble. Of course we tried it on ourselves — and a few other luminaries. According to the app, I personally write like Kurt Vonnegut, at least when I'm talking about the Palins. 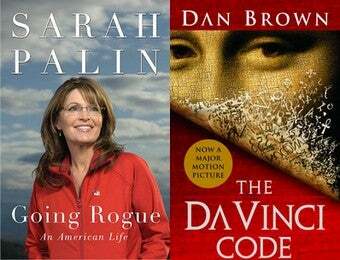 Which is especially flattering since Sarah Palin — or whoever does her Facebook notes — writes like Dan Brown. So does birther/blogger/dentist/lawyer Orly Taitz. In an upset, Levi Johnston's blogging sister Mercede writes like ... Nabokov! And Gwyneth's GOOP stylings apparently make her a regular Stephen King. The fact that all these ladies write like dudes suggests to us that there are few female writers in I Write Like's database. But since Roman Polanski's public statement about his house arrest also turns up Kurt Vonnegut, maybe we should take all these results with a grain of salt.